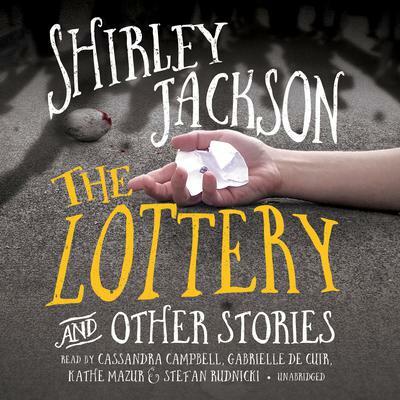 A powerful collection of short stories by Shirley Jackson “The Lottery,” one of the most terrifying stories of the twentieth century, created a sensation when it was first published in the New Yorker. “Powerful and haunting,” and “nights of unrest” were typical reader responses. This collection, the only one to appear during Jackson’s lifetime, unites “The Lottery” with twenty-four equally unusual stories. Together they demonstrate her remarkable range—from the hilarious to the truly horrible—and power as a storyteller. “The Lottery,” one of the most terrifying stories of the twentieth century, created a sensation when it was first published in the New Yorker. “Powerful and haunting,” and “nights of unrest” were typical reader responses. This collection, the only one to appear during Jackson’s lifetime, unites “The Lottery” with twenty-four equally unusual stories. Together they demonstrate her remarkable range—from the hilarious to the truly horrible—and power as a storyteller.